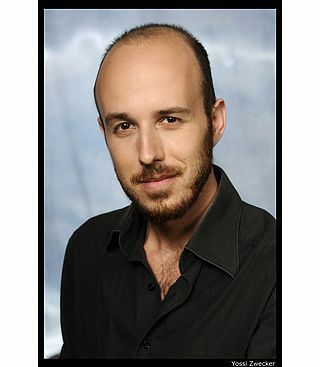 Yair Polishook, baritone, was born in Israel. He graduated from the Jerusalem Academy of Music and Dance. He performed Fiorello in Il barbiere di Siviglia (Rossini) with the Israel Philharmonic Orchestra, as well as in the operas The Cheater (Avidom) and The Bald Soprano (Israel Sharon). His liturgical repertoire includes Messiah (Handel), St. Matthew's Passion (Bach), the Faure Requiem, Schonberg's serenade Op. 24 and other works. Beside his singing career he studies conducting with Avner Biron. He received the AICF, Ronen Foundation and Eli Leon scholarships. Yair Polishook was a member of the Israeli Opera's Meitar Opera Studio where his repertoire included Papageno in Die Zauberflote, Leporello in Don Giovanni, Guglielmo in Cosi fan tutte (Mozart), Belcore in L'elisir d'amore (Donizetti), Frank in Die Fledermaus (J. Strauss) and other roles.